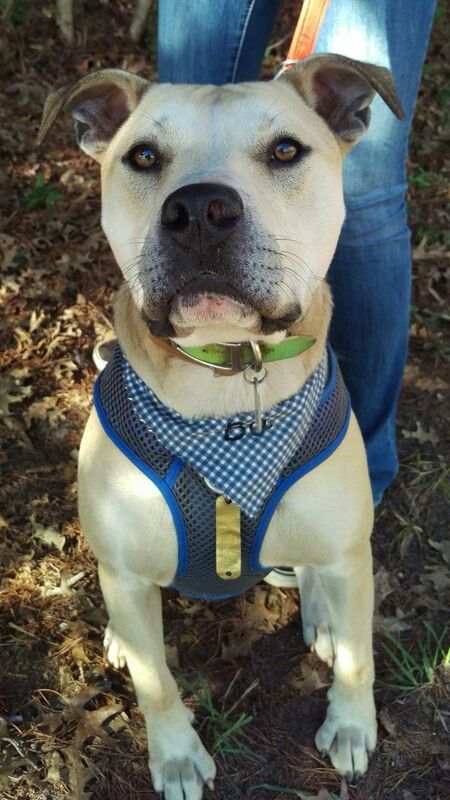 Bo looks intimidating, but in reality is a social, loving, and very playful goofball. He’s intelligent and active. He’s good with friendly dogs and enjoys rides in a car, preferring to lounge on the bench seat of a van rather than ride shotgun. He’s leash-trained, house-trained, and loves to go for walks. 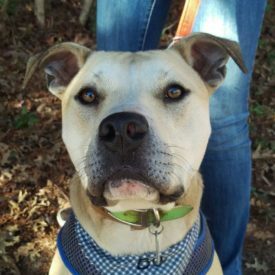 Bo needs an experienced, patient owner to confirm he’s safe during socialization with strangers – many of whom make him nervous because they won’t stop staring in amazement at how awesome he is. These people may think staring is a compliment; Bo thinks staring is rude. Adoption fee covers two vaccinations plus spay / neuter if using our veterinarian. Additional fees for 3rd puppy vaccination, refundable spay/neuter deposit, etc. may apply. We are an all volunteer, foster-based rescue. Available animals can be seen most Saturdays at Tractor Supply in Lenoir from 10:00 a.m. to 3:00 p.m. For more animals and information, our website is www.petpartnersrescue.org.